While the rumors that GM would release a diesel powered sedan in the U.S. market have been an on-again/off-again buzz for several years, this time it is official. This is the announcement our nation’s struggling economy has been needing for nearly a decade. 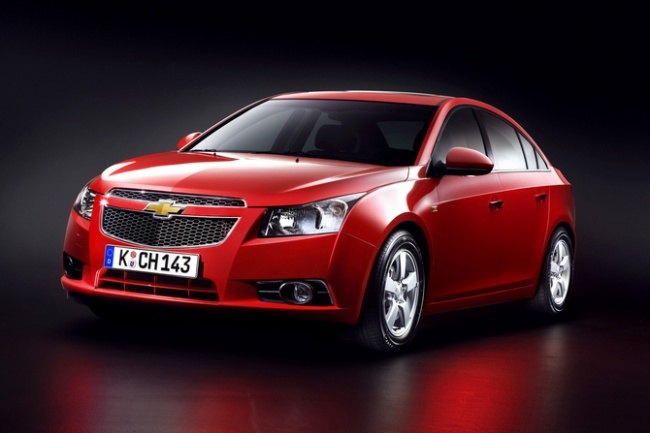 Chevrolet will finally release a mid-sized U.S. version of their diesel powered Cruze sedan in 2013. Why do we judge this announcement so important? 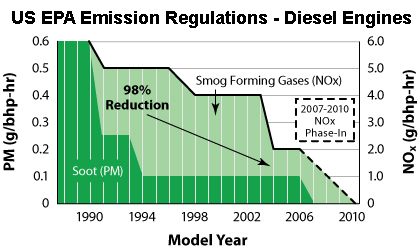 Most other industrialized nations have been migrating their light fleet (cars, SUV’s and light trucks) to diesel engines for the past decade and since diesel powered vehicles are generally 25%-30% more efficient than similar gasoline powered vehicles, then U.S. citizens have wasted over $2T by purchasing hundreds of billions of gallons of gasoline over the past 10 years as we have not migrated to diesel with the rest of the world. The U.S. EPA regulations are very different (not more stringent, rather more time consuming and far more expensive to achieve certification) than the regulations of the peer emission organizations of other nations. The economic and environmental advantages of a diesel engine are well documented to be well beyond both gasoline and gasoline hybrid vehicles. To understand why GM was motivated to release a diesel sedan at this time, one only needs to research the extremely successful sales stats of diesel powered Audi, VW and BMW vehicles since 2007. They could not continue to ignore this rapidly growing domestic market. Three years ago, the GM Saturn Division announced that every model they sold would have a diesel version and that within a few years, they expected that diesel engines would become their fleet standard and the gasoline engine versions would be phased out entirely. Then in spite of a profitable historic record, when the UAW was given control over GM after the Chapter 11 filing in 2009, they immediately shutdown the Saturn Division as it was a non-union operation. One should also consider that diesel powered vehicles have a well-established history of a 200,000-400,000 mile life-cycle, and while this vehicle longevity is very Green, it will also likely reduce the number of vehicles sold in the U.S. so will eliminate additional UAW jobs by as much as 40% in only a few years (there are 370,000 UAW members today). Then again, maybe GM can create even more jobs by taking back the foreign car manufacturers’ diesel vehicle market share. Neither Ford or Chrysler have announced a diesel sedan for their 2013 line-ups. Sources within the Cruze Assembly Plant in Lordstown, Ohio, have confirmed that a diesel Cruze will be built for 2013. Also, GMI says that additional sources within the General’s engineering team have confirmed that an advanced diesel powered Cruze is on the company’s schedule. Diesel-powered Cruzes are actually already commonplace around the globe – there are more diesel powered Cruzes sold than the gasoline version in virtually all of the 60 other nations where both are available. In Australia the Holden Cruze CDX has a 2.0-liter diesel engine. In that version the car produces approximately 147 horsepower and 235 foot-pounds of torque. Converting from the Australian fuel economy figures, the Cruze CDX is rated at 50mpg highway and 34mpg in combined driving. As other GM diesel powered vehicles have embraced biodiesel and are compliant with B20, it is safe to say this vehicle will be as well. Especially since the Great State of Minnesota has a B20 mandate in its legislation for 2015. That would mean this car would achieve 60mppg (Miles Per Petroleum Gallon) on B20 on the highway with a combined driving stat of about 41mppg. Eat your rare earth mineral heart out, Prius! 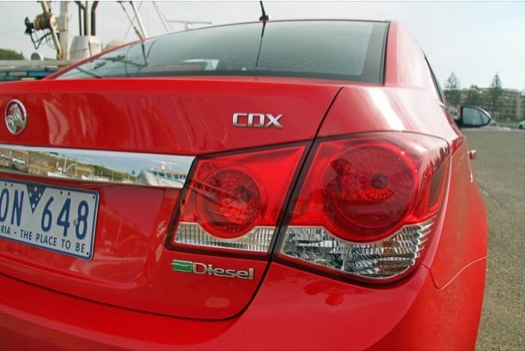 This Cruze CDX will likely receive the Green Car of the Year Award for 2014 – a recognition that the Prius has never earned. It will be interesting to see if Chevy can keep up with the orders for this vehicle by the 2nd-3rd year. This author projects it will be the highest volume vehicle sold in the U.S. within 3 years. The release of this vehicle – along with the release of 10 additional diesel powered cars and SUV’s in the U.S. market is a new chapter in the U.S. Migration to Diesel/Biodiesel.